Whether you do development, release planning or bug tracking in Jira, Favro is a great complement to make work more visual and readily available for external parties. 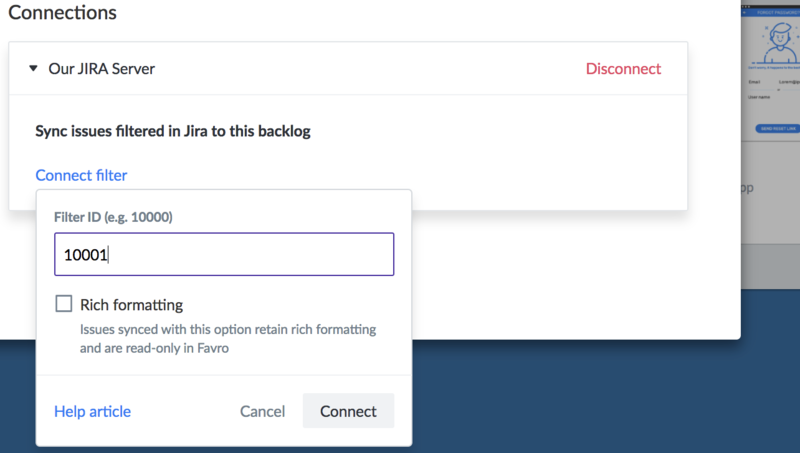 By integrating Jira with Favro you can involve clients, contractors and more without giving them access to your Jira environment. 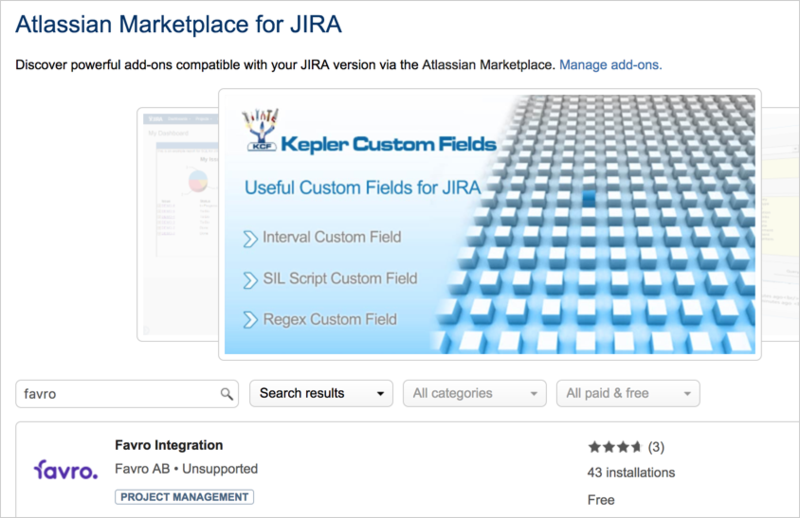 Read on to find step-by-step instructions on how to enable the Jira Integration. By enabling this, you can sync issues to Favro via Jira filters and update issue statuses. You can also send Favro cards to Jira as issues. The fields that are synced between the tools are Titles and Descriptions. 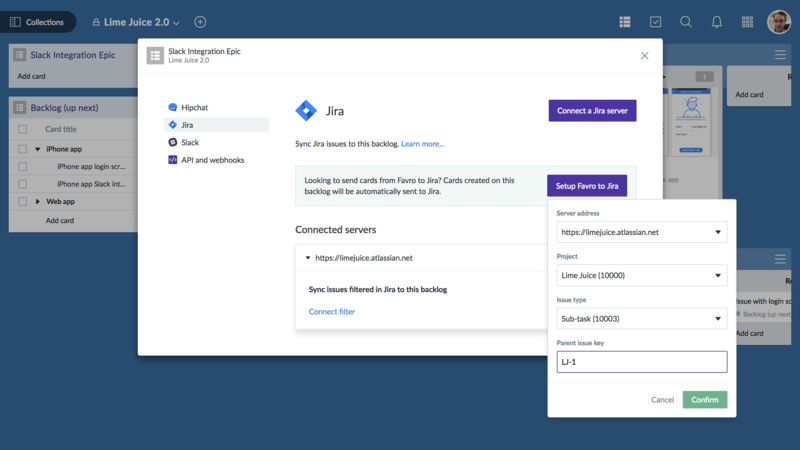 You can connect Favro to both Jira Cloud and a self-hosted Jira server. By going to a backlog menu (⋮), More and Integrations and API, you can connect to your server of choice. 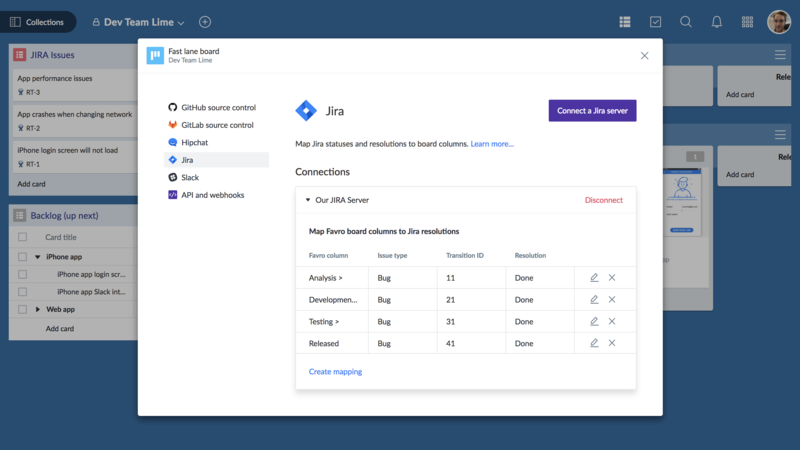 After selecting Jira Cloud in the Favro menu, you need to install and configure the add-on in Jira. First, search for the integration in the add-on marketplace. After installing the add-on, go to Manage add-ons, open the Favro add-on, and click configure. This will take you to a new screen where you'll find the security token. Back in Favro enter the the adress of your Jira Cloud instance and your security token and click Connect. 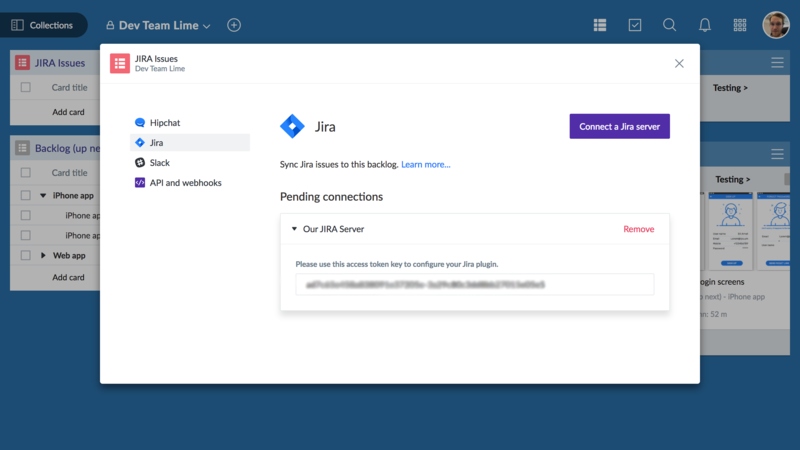 When connecting to a self-hosted Jira Server, you only need to add a description for your server and click Connect to server. This will put your integration in a pending mode and give you access to a token that you need to configure the Jira plugin. Again, you go to the marketplace and find the Favro Integration. Just as with Jira Cloud, you go to manage the integration and click Configure. Next, you need to add a secure email which will be used to create an integration user. After supplying the email, you add the token from Favro into the field under Favro server connections. 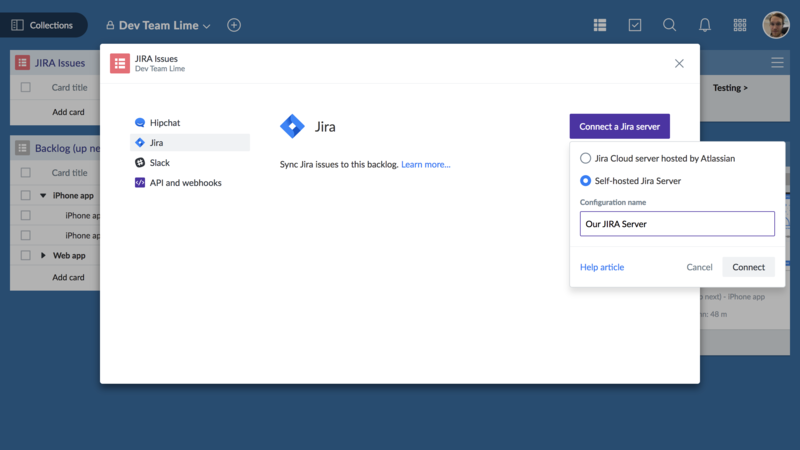 If Jira has not been setup to trust its own certificate you can paste the Jira server certificate, or a CA certificate used to sign the server certificate here to allow secure connection. 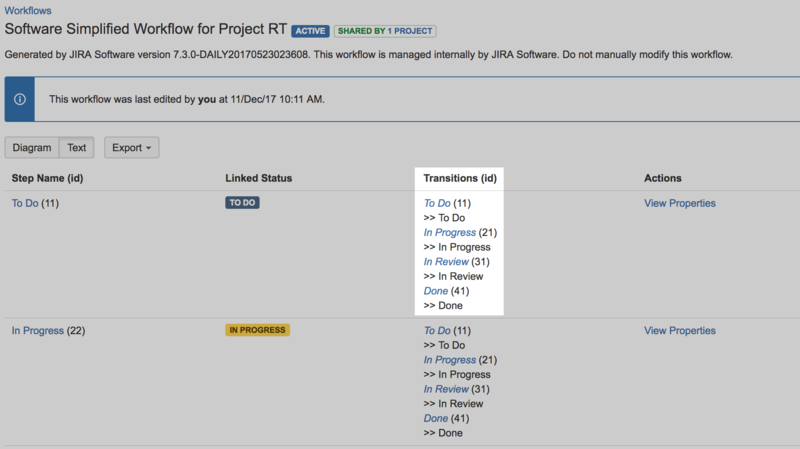 Once added, Jira will try connecting to Favro and once completed, you will see your server in the list of connected servers. If you have not already done so, install and configure the Favro Jira Proxy. 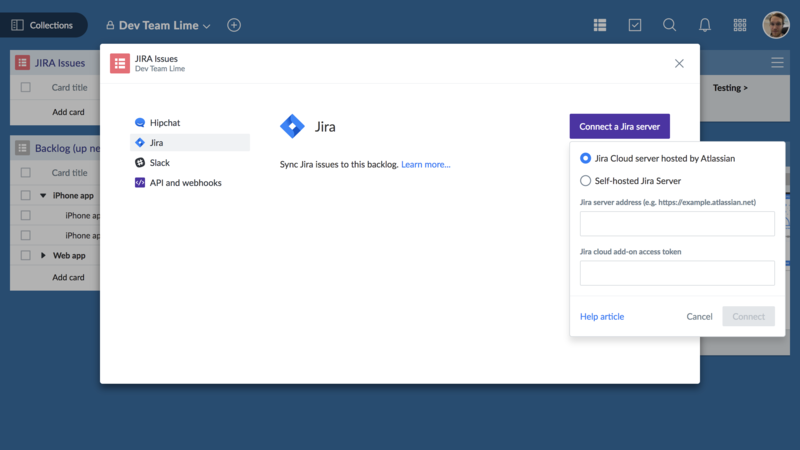 When connecting to a self-hosted Jira Server through the Favro Jira Proxy, you only need to add a description for your server and click Connect to server. This will put your integration in a pending mode and give you access to a token that you need to use to configure the Favro Jira Proxy. 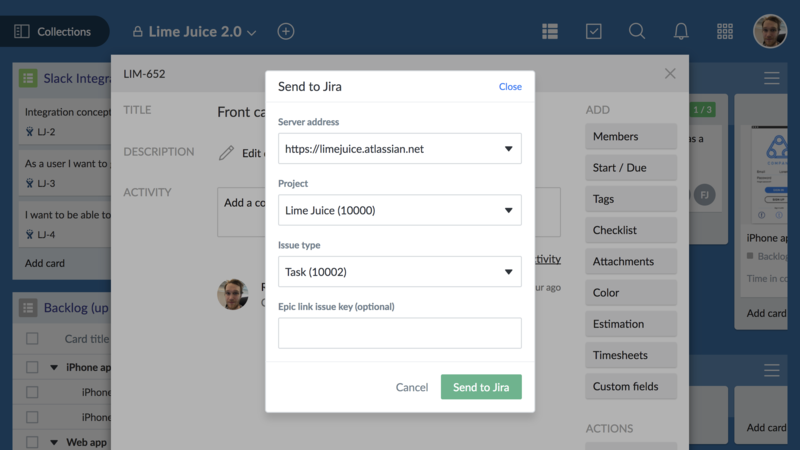 The note mentions the Jira plugin, but in this case we will use the token on the command line to add the connection to the Favro Jira Proxy. 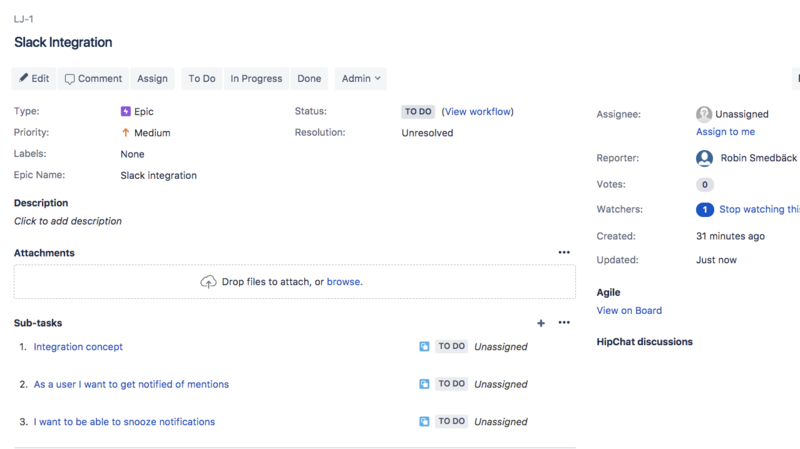 Once successfully integrated, you will need to connect a Jira issue filter to your backlog of choice. In Jira, open the filter and in the URL field you'll see that the filter has a unique ID, This is the ID you enter in Favro. If the integration user is an admin in the project and has access to the filter, the filter will connect, and any issues matching the filter will be synced to the backlog. Now that you have issues getting synced from Jira to Favro, you can do the inverse, sending Favro cards to Jira as issues. This can be done in two ways: from the card popup, and automatically when cards are added to configured backlogs and boards. 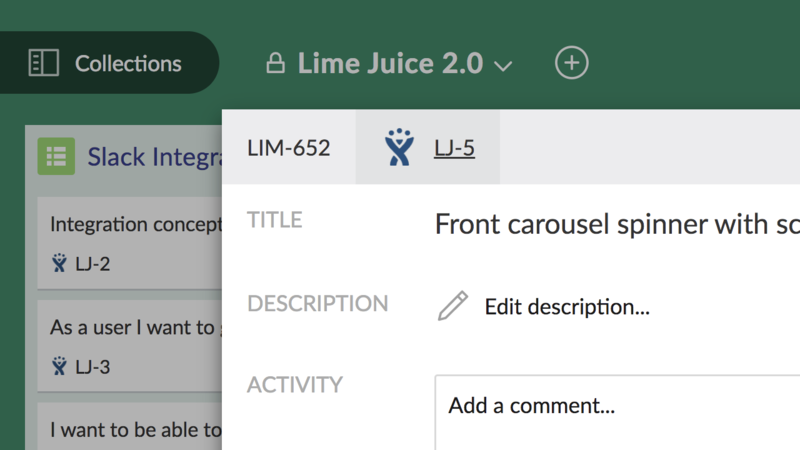 From a card's More menu, click Send to Jira, and a new popup will appear. In this dialog, you pick one of your connected servers, your desired project, and what kind of issue should be created. You can also optionally link the issue to an epic, and if you select Sub-task as your issue type, you will need to specify a parent issue. 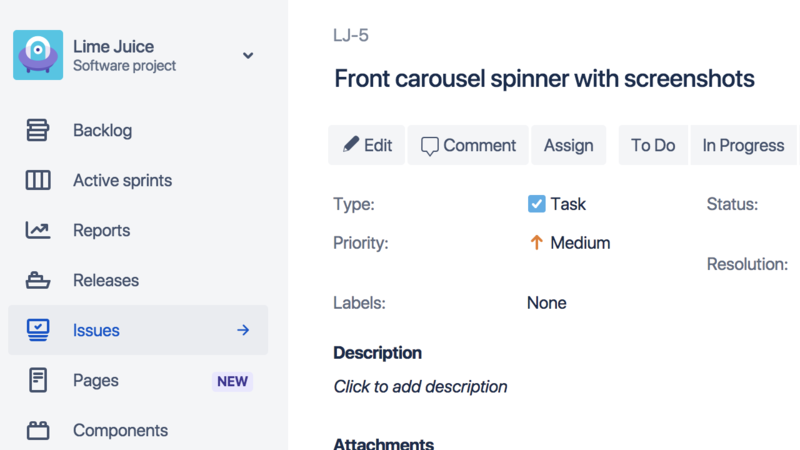 Once added to Jira, you get a link to the issue next to the card ID which lets you navigate right to the connected issue. Sending individual cards from Favro to Jira is great, but if you have a more consistent behavior, you might want to set up something a bit more automated. 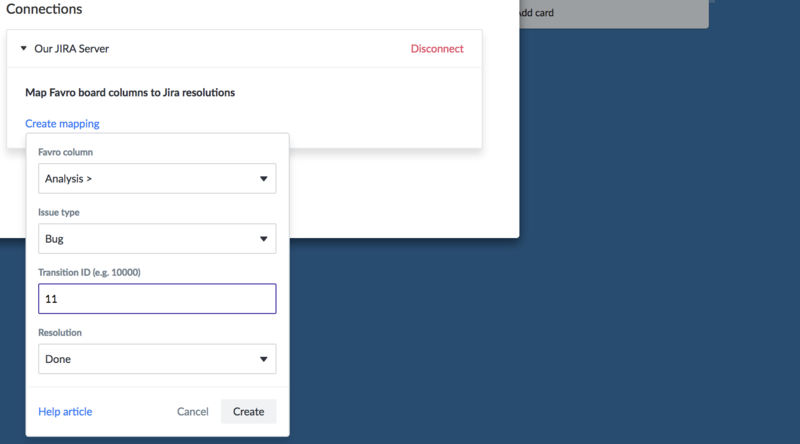 Luckily, you can configure any backlog or board to send created or added cards right to Jira automatically. You can for instance create a backlog in Favro that reflects an epic in Jira and add sub-tasks to the epic right from Favro. Just go to the backlog menu (⋮), More, Integrations and API, and Setup Favro to Jira. Again, you need to select server, project, issue type, and in this specific scenario, parent issue key (the ID at the end of the link to the epic). Now, whenever a card is added to this backlog, a sub-task will be added to the epic. 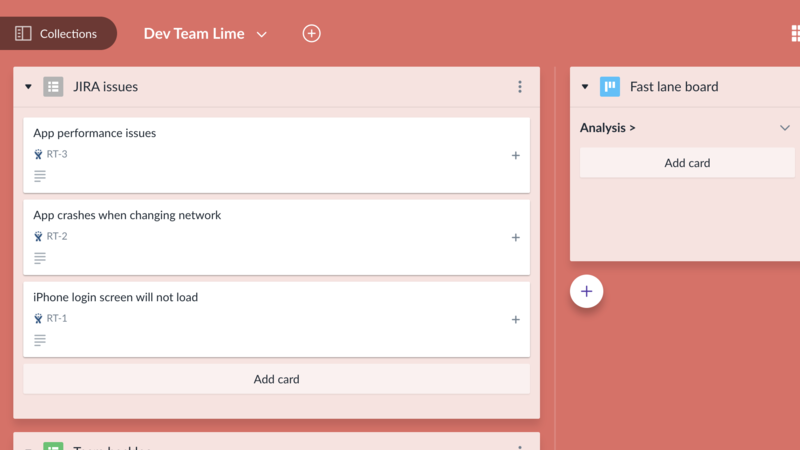 Now that Favro cards and Jira issues are mirroring each other, you can connect one of your Favro work boards to any workflow in Jira to update statuses by moving cards in Favro. First, open your Administration Panel in Jira and go to Issues. Under workflows you'll see all your workflows, click view on your desired workflow. Here you will find transition ID's for each status in your workflow. Save them because you will need them later in Favro. 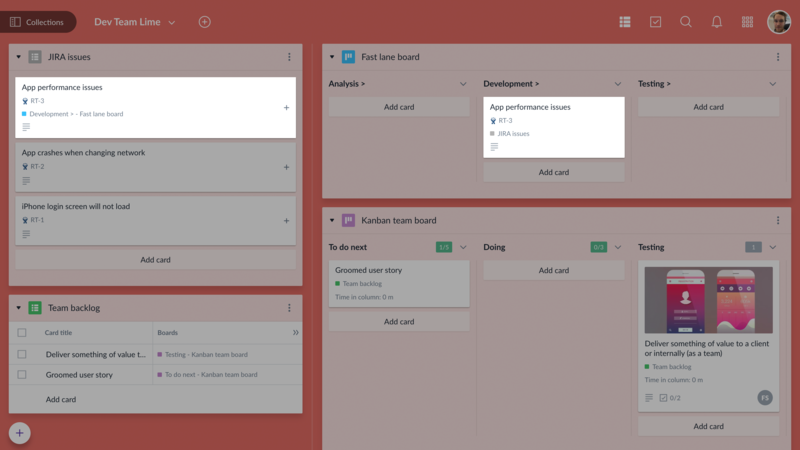 Back in Favro go to the board you want to connect to your workflow and go to the menu, More, Integrations and API. 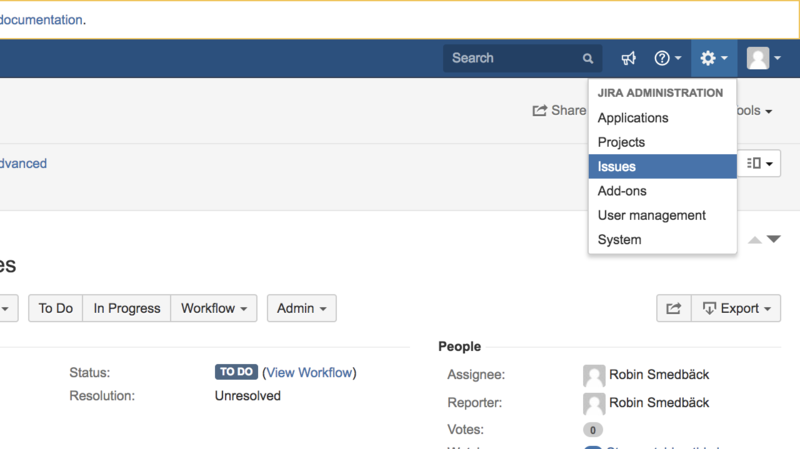 In the Jira tab, you will now be able to create mappings per column. This is where you enter the transition IDs for the workflow statuses. You're now all set up to start working with Jira issues in Favro!